Sidney Jack Plater was born in Thame in 1915, to parents Harry and Georgina Mary (nee Soanes) Plater. A pupil at Lord Williams School, he went on to train in the pharmaceutical industry, becoming a member of the Pharmaceutical Society in 1939. He was also a deacon of Christchurch in Thame for several years. Whilst serving with the RAF, he married Bertha Maynard at St Andrew’s Church, Enfield on 15th August 1943. In 1944, with the rank of Flt Sgt, he was sent to No 8 OTU at RAF Dyce in Aberdeenshire, to train as a photo-reconnaissance observer on the de Havilland Mosquito. His pilot was Flg Off Thomas Bell RCAF who he flew with throughout the remainder of his life. 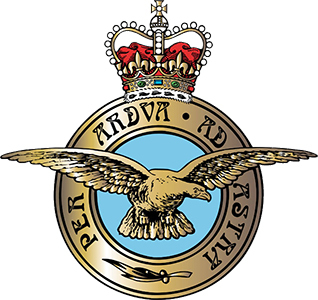 Posted to 684 Squadron at RAF Alipore, Bengal, India, he carried out a number of PR missions during 1945. On 22nd April 1945, WO Plater and Flt Lt Bell in Mosquito XVI NS675 took off at 0705 from an airfield at Cox’s Bazar, near Chittagong on a mission to Lankawi Island off the Malayan peninsula. The aircraft failed to return, and although wreckage and an upturned dinghy was seen in the sea the following day, there was no evidence of any survivors, and the search was eventually abandoned. 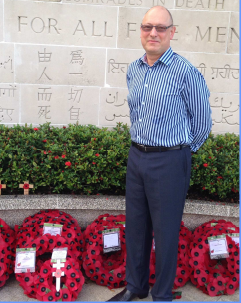 Sidney Plater was 32 years old, and is remembered on the Singapore Memorial in Kranji War Cemetery. In Thame he is remembered on the Thame War Memorial, and also the Christchurch and Lord Williams’s School Memorial Boards.